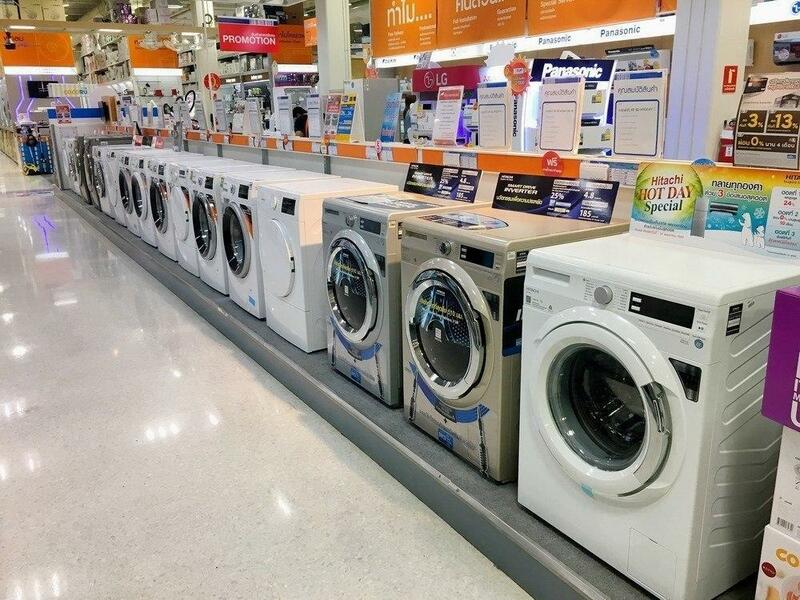 Have you got washing machine problems? Relax. There is no need to panic. Before you decide to call out a professional to check why your washing machine won’t spin, it is always a good idea to read your washing machine manual and see., Iif it can help you troubleshoot what could be wrong with your washer. Most washing machines, regardless of brand, come with a manual that provides instructions for simple repairs. If you want to take a shot at trying to solve what you think is just a minor issue, make sure your machine is switched off and unplugged at the mains before you begin. Why is your washing machine not spinning? Weight imbalance can affect your washing machines’ sensors. It is always good to mix large and small items in one load to avoid overfilling the tub and keep everything working. If you’re certain that your tub is not overfilled or unbalanced, try to check whether or not the washer is properly draining or not, as this can be the root of the problem. The washer may halt during certain cycles, if the plastic tab is broken, try pressing and releasing the switch. You should hear a click when you do this, but if you don’t then that means it’s broken and needs to be replaced. It may be time to replace worn or broken belt. Perhaps the belt is just loose, try to tighten it and see if it works. Clear the drain pump in the washer by pulling the filter out. If you feel like you can’t rectify the problem yourself, call a technician. If these measures don’t work, then it’s time to call a professional appliance repair person, as there may be a problem with the controls. Aside from the problems mentioned above, which may be able to help you fix why your washing machine wont spin, there are other factors that can cause a washing machine not to agitate that requires the expertise of a repairman. Keep in mind that every washer make and brand is different, so it's not always easy to diagnose the fault unless seen by a service guy. If your washing machine is acting up, does this mean that you should call it quits and purchase a brand new unit? Or try and see if you can have it repaired? There are many things to take into account before you make a decision to have the unit repaired or replaced. One of the reasons to consider is, if the repair would exceed the cost of a brand new washer. Your washing machine can last anywhere from 10 to 15 years. Of course, this number is based on usage, care and the brand. If you happen to use an old model, expect to pay for a pricey repair cost, if something goes wrong. So, it is smart to weigh the price of repairs against the cost of a new washing machine. If, it is more than 15 years old, it's time to get a new one. The type of clothes washer you have plays a major role in whether or not it should be replaced. This is the type where you load the clothes from the top of the machine. There is a cover that you have to open to load or unload the clothes into the tub that functions as the washing vessel, rinser and drier, as well, if it is a fully automatic clothes washer. Top loading washing machines are also classified as: fully automatic and semi automatic. With this type of washer, the clothes are loaded from the front opening. Front loading washing machines are very economical to use, because this type consume less water, detergent and electric energy. Compared to the top loading type of clothes washer, studies show that front loading machines produce better washing results. In these tough times, wasting money is not an option. Do some research first, if you are looking to acquire the services of a repairman or if you are planning to buy a new washing machine. Never make a purchase impulsively, in order for you to get the best item that’s equipped with the best features, the best price and comes with a lifetime warranty. Washing machines, like many pieces of equipment, were manufactured with limitations. We tend to make small errors when operating our washers that may affect the performance of this great laundry helper over time. You surely can prevent making premature calls to washing machine repair technicians by learning how to avoid these common mistakes. Overloading your washing machine makes the motor work too hard and eat up more energy. Do not pack too many clothes in one load to avoid putting unnecessary wear on it. Always wipe down the detergent and fabric softener slot when you’re done washing to prevent build-up that could cause a clog. 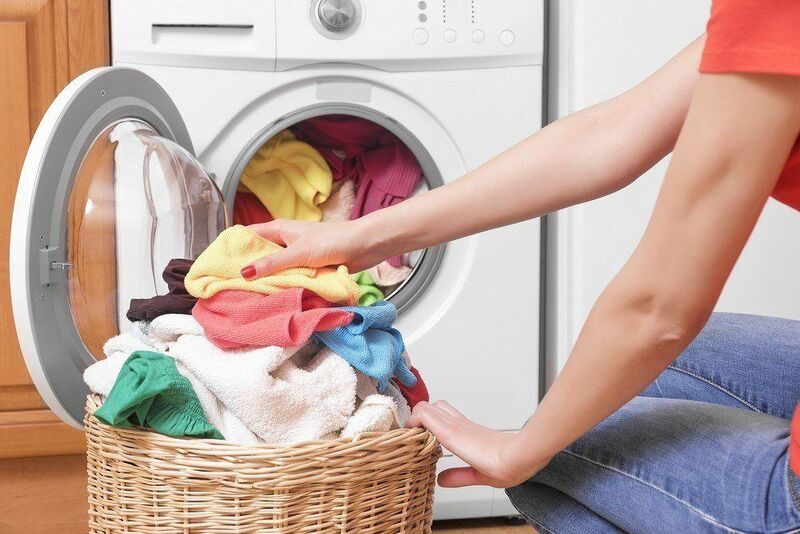 Putting in too much detergent will wear on your machine plus suds will cause the clothes washer to overflow. Additionally, too much detergent doesn’t mean ultra clean clothes instead it will make them sudsy and stiff. Not emptying your pockets before loading the clothes into the washer is, definitely a bad idea. Coins and other stuff left in your pockets can do damage to the inner workings of the machine and can clog the drain, as well. Letting clothes stay in the tub means lingering moisture, which provides the ideal atmosphere for mold and mildew to grow. You wouldn’t want a foul-smelling laundry and machine, don’t you? Clean the internal components to remove any lime scale and detergent which may have built up by carrying out maintenance wash on a monthly basis to keep your clothes washer working to its full potential. A broken clothes washer means disaster. So, if and when your washing machine won’t spin, don’t get flustered. You can actually find washing machine repair guides online that shows you the step-by-step process, as well as, a list of the most common parts that cause the tub not to spin. These washing machine care tips will educate you on how to keep your clothes washer functioning properly and deliver outstanding results with the right care and how to fix simple issues, so you can make your clothes washing task easy, fast and effective. What Is The Difference Between 220 And 240 Volt Outlets ? Homienjoy.com is a participant in the Amazon Services LLC Associates Program, an affiliate advertising program designed to provide a means for sites to earn advertising fees by advertising and linking to Amazon.com . *Amazon and the Amazon logo are trademarks of Amazon.com, Inc., or its affiliates. Additionally, homienjoy.com participates in various other affiliate programs, and we sometimes get a commission through purchases made through our links. Copyright 2017 by homienjoy.com !